Tasunka (ta-shoon-ka) is a word from the Lakota language meaning wild horse. 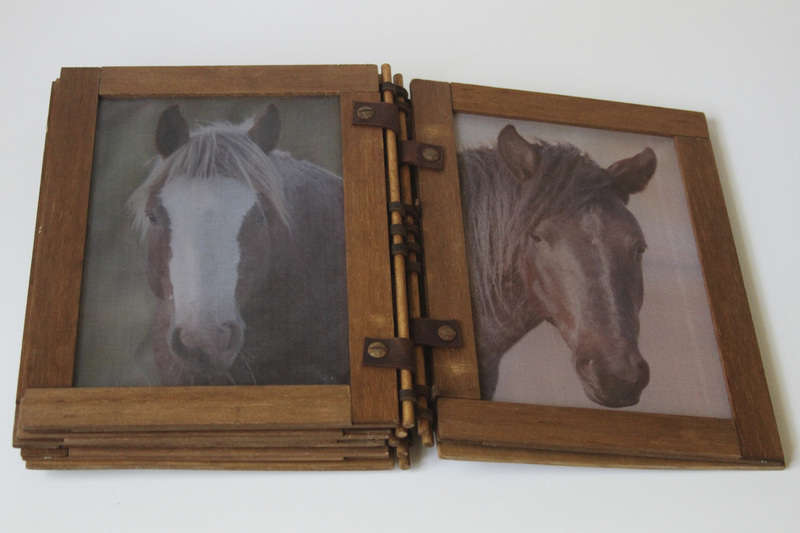 Five wild horse portraits from the herd at Theodore Roosevelt National Park in North Dakota are the subject matter of this artist’s book. The Lakota name was chosen for the book because these wild horses are believed to be direct descendants of Lakota Chief Sitting Bull’s warrior horses. Prized for their strength and endurance, they are native to the Great Plains and considered by many to be a breed unto themselves… now known as Nokota horses. 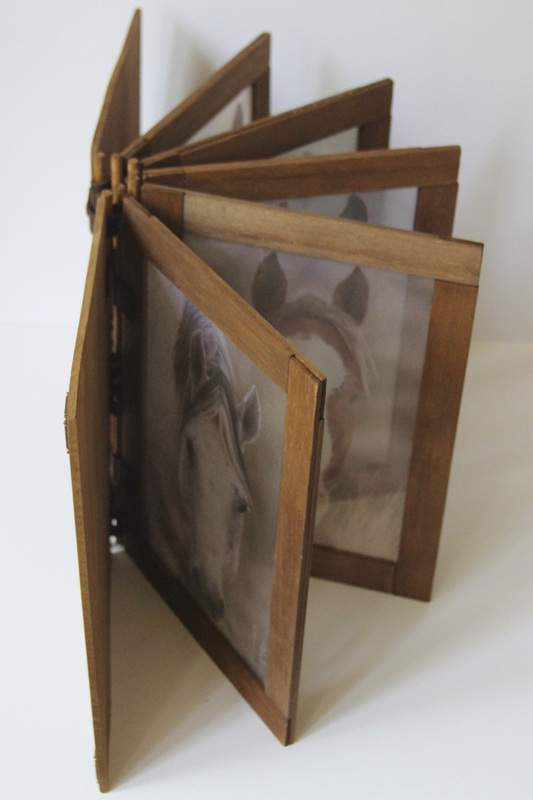 The artist’s book Tasunka is made of silk organza, wood, and leather, with metal accents. 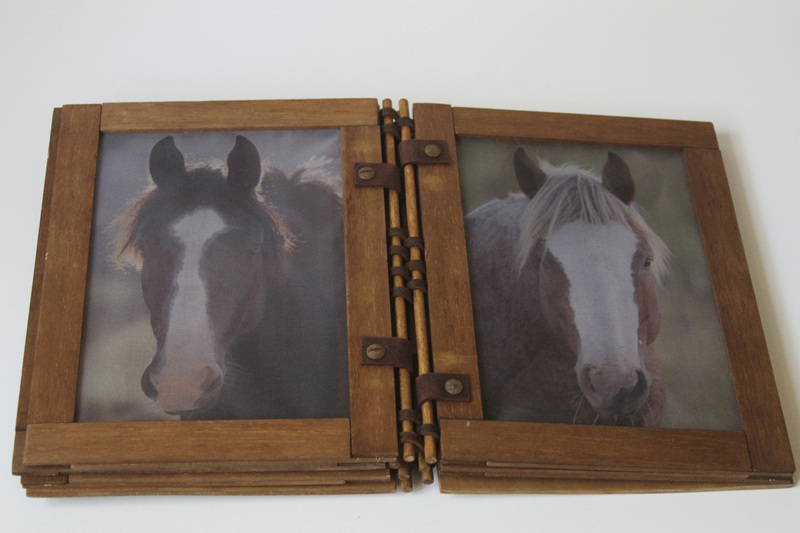 The pages include portraits of two stallions, two mares, and a filly. 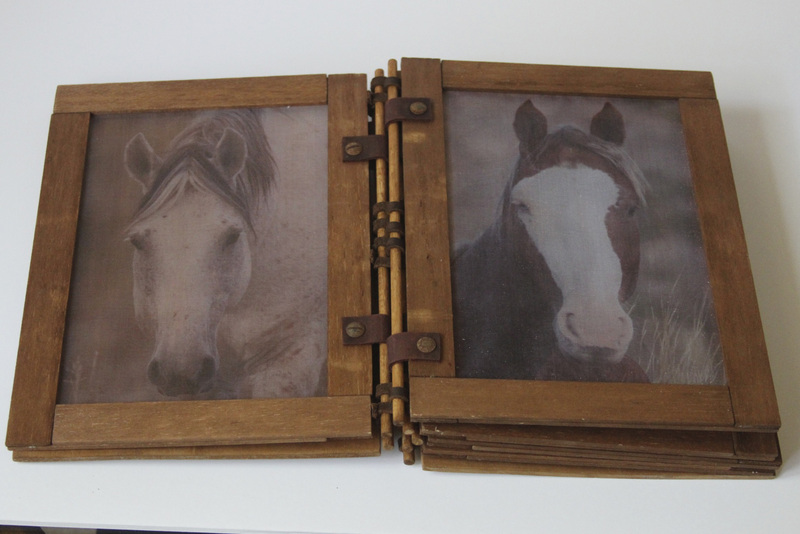 Each photograph is printed on silk with a process that allows the images to remain detailed yet highly translucent. 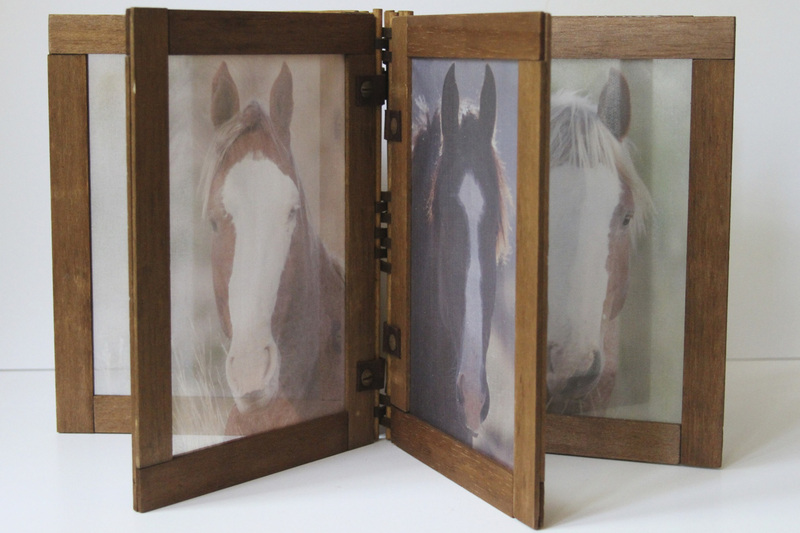 In light, each wild horse portrait transfigures with the dominant features of the horse before or after. 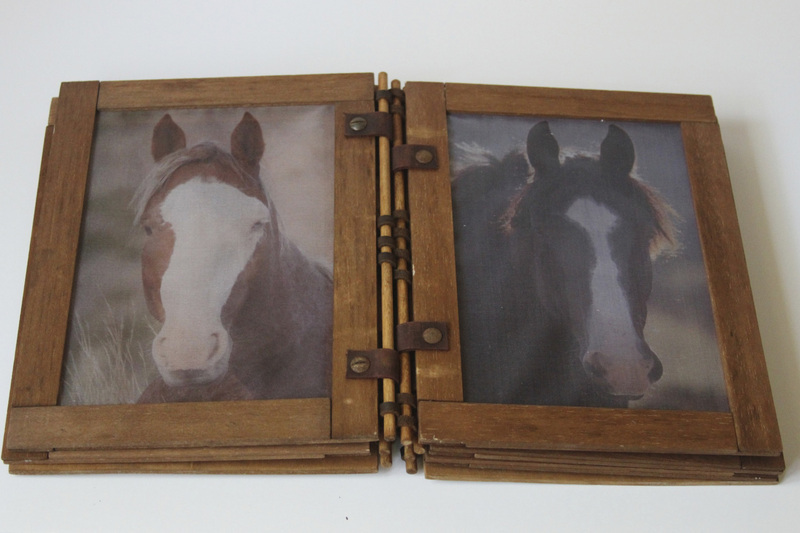 The portraits are framed front and back in balsa wood. 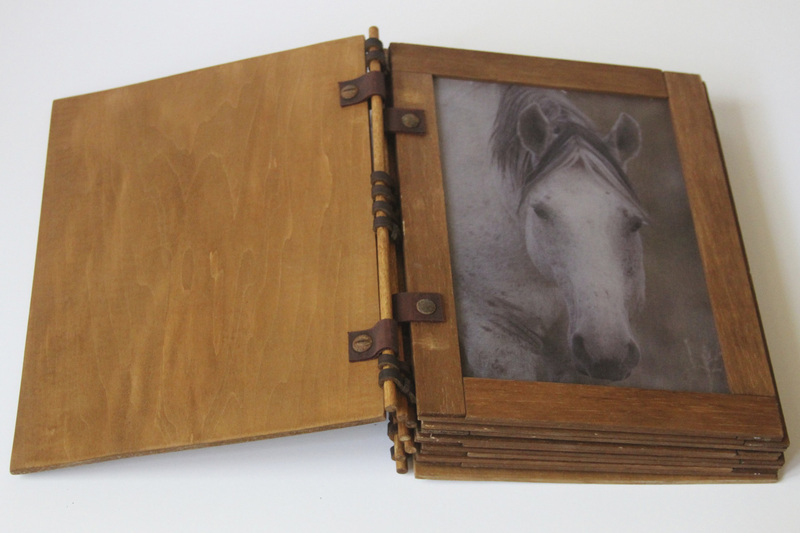 The book’s front and back covers are basswood. Page leafs are bound to dowels with leather strips and patinaed fasteners, allowing for the pages to be reassembled as desired. 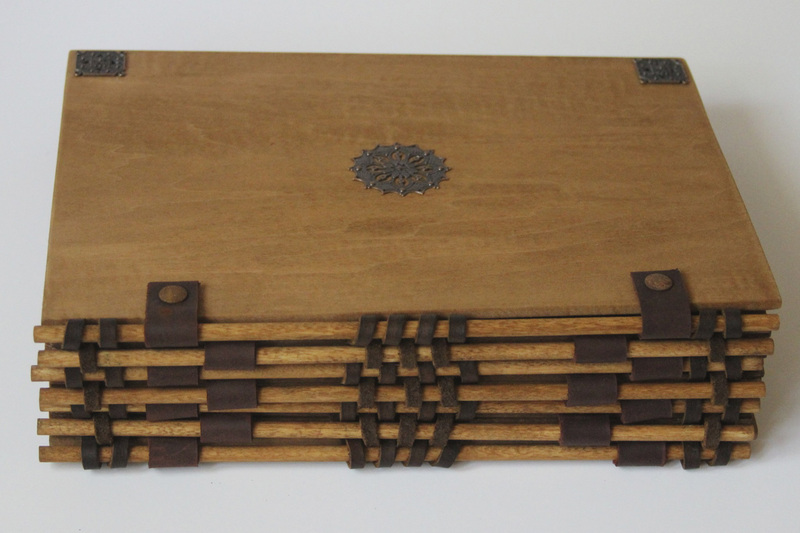 Seven dowels comprise the spine of the artist’s book and are woven together with leather lacing. The front cover is further decorated with metal accents. Dimensions are 8-1/2”x11”x3” closed. Tasunka can be displayed by standing the book on its end in a star pattern or semicircle. It may also be used as a coffee table book. The book is a limited edition of twelve. Please contact us for pricing. 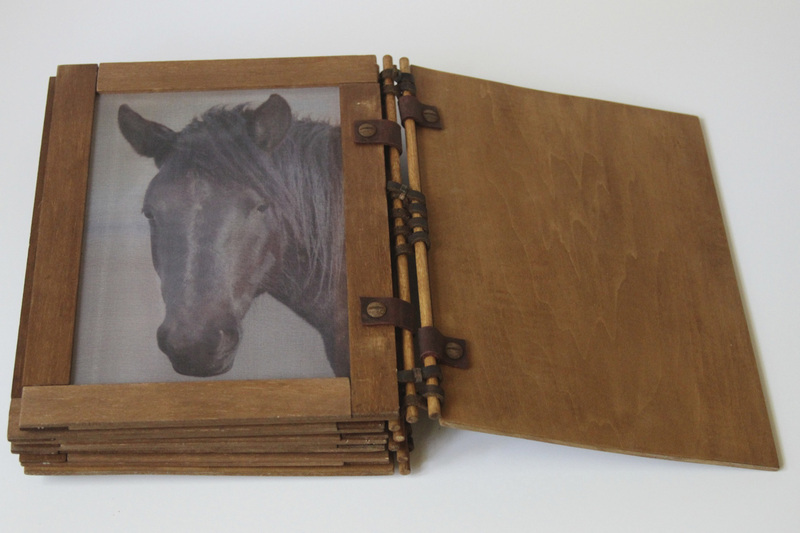 A portion of the proceeds from this book will be donated to The Nokota Horse Conservancy (www.nokotahorse.org) in honor of their work to save this native horse of the Northern Plains.